A marvelous account of Mongol religion and ritual, with chapters such as 'Elegant Armour and Ancient Trouvailles' on the shaman's costume... a title I just had to quote. True, it's about the Daur Mongols, and has stuff that mightn't be true of others or Mongols in general or Mongols of the past. Yet nothing has taught me so much about Mongol conceptions of... life, religion, and the big subjects. First, the authors. Caroline Humphrey, anthropologist, talks with Urgunge Onon, fellow academic, about his childhood in Manchuria and his concepts of religion and the practitioners of religion. Urgunge is eager to get to original ideas before infiltration by the modern world; and he is proud to think that among the Daur Mongols in Manchuria, these were conserved, better than in Mongolia proper that got swamped. The ideological tug-of-war between shamanism and Buddhism often features. Still, his people did live under the Qing government and Chinese influence crept in. We don’t have here an untouched pool where to see ‘the Mongols’ – as Urgunge calls those of the 13th century, Chinggis’ times – how they thought, how they practiced religion. But that is very, very hard to disinter now. The book isn’t just talk, but she does quote their conversations – and this gives you more opportunity to understand than if she, the anthropologist in charge, digested everything for you. When I say that about ‘infiltration by the modern world’, I have to add: one section is exactly about shamanism’s confrontations with the 20th century. Here there are case studies in adaptation, or in how a living religion reacts to foreign influence, how it grows around that (distorted, or challenged? ); and the life story of a shaman born in 1900, who’s the sister of a famous revolutionary… shamanship and revolutionary politics live comfortably together, in her life. But that’s the last section of the book. Like I say, I’m overwhelmed when I need to tell you what’s in here. I’ve read it through twice, read certain chapters a dozen times, and I haven’t nearly gotten to the bottom of these profundities. I’m tempted to say it’s as deep as a bible, but you might misunderstand me. There’s so much to think about. It’s rich in examples, in shaman’s songs, in anecdotes, in quotes – source material. Urgunge gives his understandings, and Humphrey writes with great intelligence, I think, on meanings. Nb. it isn’t overly hard to read for those who can’t wade through jargon (that’s me). It’s titled ‘Shamans and Elders’ because these two figures of the community have different ways to think about things - different teachings. Shamanic thinking raised the possibility of taking decisions on one’s own destiny and creating it by one’s own actions, always in the fearful knowledge that one might be wrong. After all, it could always be the case that some event happening now was not one’s destiny, and it was the point of having shamans that they could find this out. Such decisive moments could radically change one’s life. This view existed alongside the fatalist, passive view of destiny and often superseded it. Shamanic thinking insisted that one should act to accomplish one’s destiny, constantly being aware, from one’s own inner promptings and from signs noticed in the world, that one might have to change direction, and that there might be difficult things one had to do. Shamans used the discursive form of the song to reproduce their own idiosyncratic histories that were quite different from the genealogies and narratives of the elders. 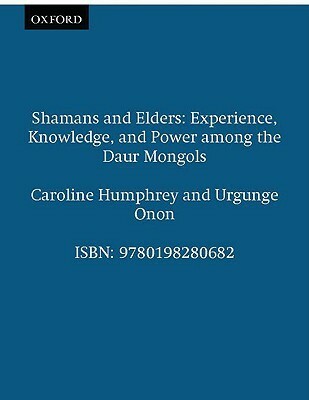 Although they might use the same idioms, such as ancestry and imperial power, shamans suffused these ideas with subversive content, thus creating a distinctive sense of identity for the people. The Daur sensitivity was… to hard-hearted neglect and its corollary, revenge, which moved inescapably through social life, from past hurts through the present and into the future. The cure of a patient by a shaman was thus never simply a cure but more like a drama-in-history, a revival of ‘memories’ which spread their tentacles into the present, giving the hue of ancient emotions to the present suffering… The shaman provided the public explanation. He could rearrange the jagged parts, sending back the spirit, ‘turning’ (nairuula-) the multiplicity of twisted human relations, but everyone knew that this was only a brief respite, as the past had its momentum, caused by the endless activity, the blundering and cruelties of the people in the past. Daur trance shamans… took the side of the suffering victim caught in the grinding pressures of social order… Sympathy was the ‘action’ of the Daur shaman, even with the most disgusting and dangerous diseases of all. These are almost random picks from the passages I’ve marked, but give you an indication of how it’s written, what it’s about. Sign into Goodreads to see if any of your friends have read Shamans And Elders.